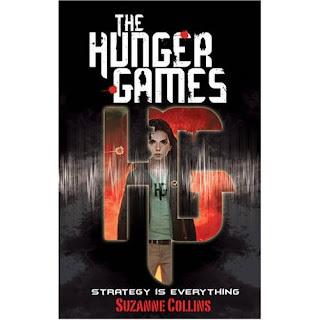 Our first book club of the term was this past Tuesday, and we chose none other than the widely discussed (including withing this blog) The Hunger Games by Suzanne Collins. The series itself is one of a dystopian world where children are chosen to fight to the death for the entertainment of the nation's citizens. It brings up questions of whether or not the violence portrayed is morally appropriate for readers of all ages. Are we just as guilty of 'watching' The Hunger Games for pleasure? Can we truly like these books? There were various stances that crept up during our discussion. One of the more troubling addressed is that of the romance aspect of Collins' series. 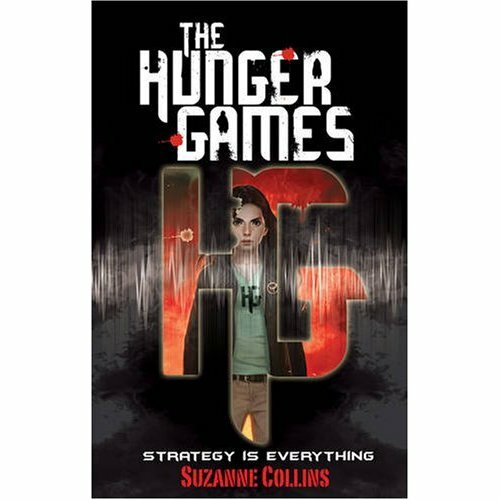 Some younger readers (not in our group) were reported to have read the series for the romance between Katniss, the main character, and her partner in the games, Peeta. The question was posed as to whether or not this reading allowed the fullness of the violence and dystopian model to be critically examined, with someone bringing up the point that dystopian literature is meant to be an extreme take on an already apparent flaw in our current society. If these readers were ignoring this theme were they simply accepting the distortion without a second thought? We also debated whether or not we liked the books, and what our defence was for our various stances. Some argued that they did like the books, as they were able to separate themselves from the violence and view the series as a social critique. Others noted that anyone who claimed to like the series would always have to have an 'except for...', an acknowledgement that the books had troubling aspects. Still others among us said that though the writing was very good, the books' violence was too morally compromising to allow them to be enjoyed. Overall, our discussion was very interesting with very impassioned points made at each turn. Our next book club will be Tuesday, November 1st at 5pm. We will be reading Rick Riordan's The Lightning Thief. I hope to see you there!